I have the great luxury of 3 sets of top quality timpani at my disposal. My personal set of drums was built by Fred Hinger in the 1970’s. In 2004, the entire set was rebuilt by Marshall Light of American Drum Mfg. Co. in Denver Colorado. 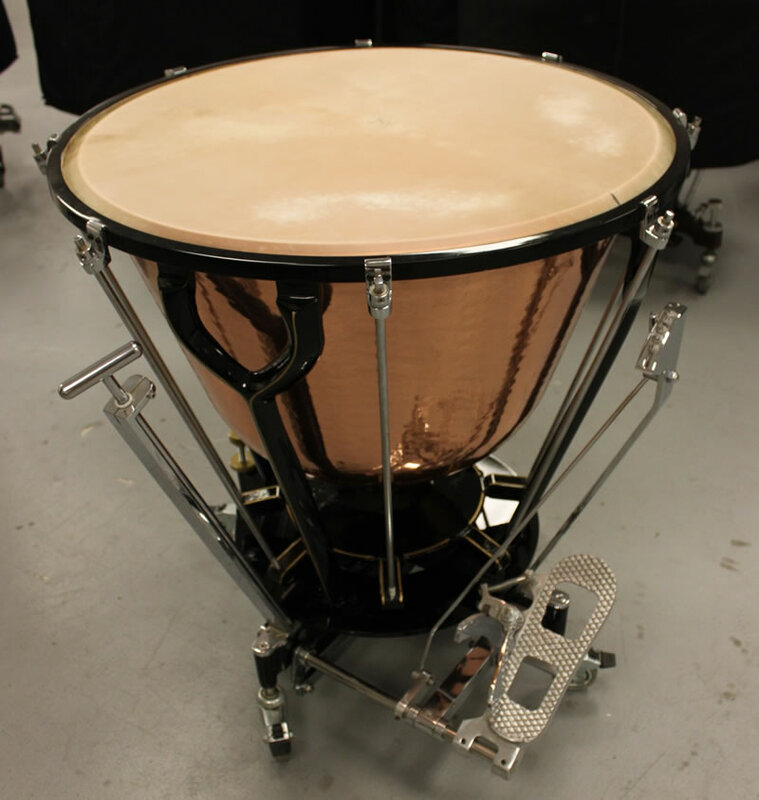 The Columbus Symphony owns 2 sets of American Drum, Mark 11 timpani built by Light in the late 1990’s. The 2 sets are identical except for slightly varying sizes on the outside drums. 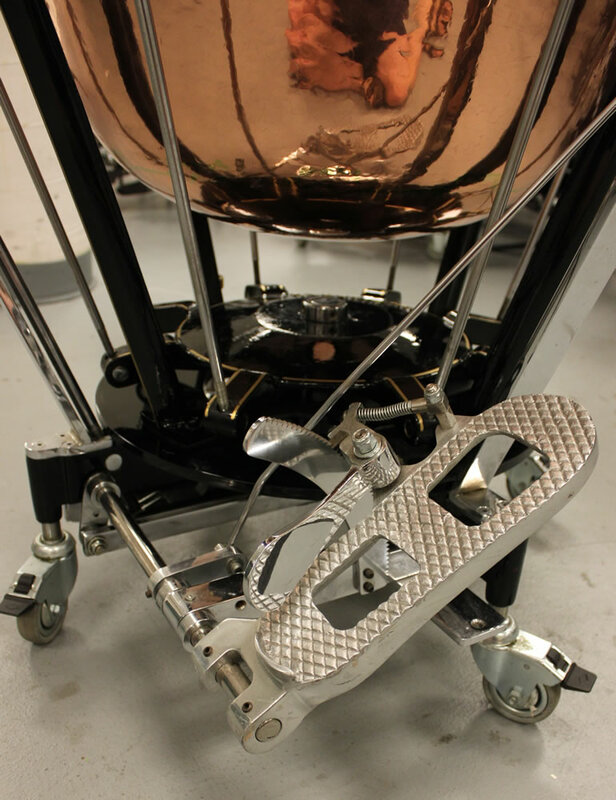 The CSO also owns one 20” piccolo drum with a chain tuning system also built by American Drum. I keep calf heads on the Hinger drums and one set of the Mark 11’s at all times. I usually keep plastic heads on the other set of Mark 11’s for use in situations in which calf may not be practical. All pedals, ratchets, and transfer bars were replaced as well. The Light transfer bar system employs 2 bars, one on each side of the rocker arm. This allows the pedals to work much smoother and easier than the original Hinger design, which only used 1 bar. 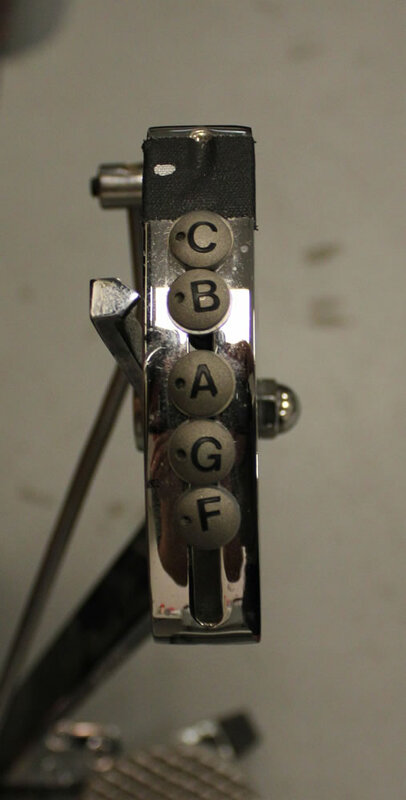 The original Hinger fine tuner and tuning guages were retained. These 2 parts attach only to the base of the drums, not to the struts as with most other designs. 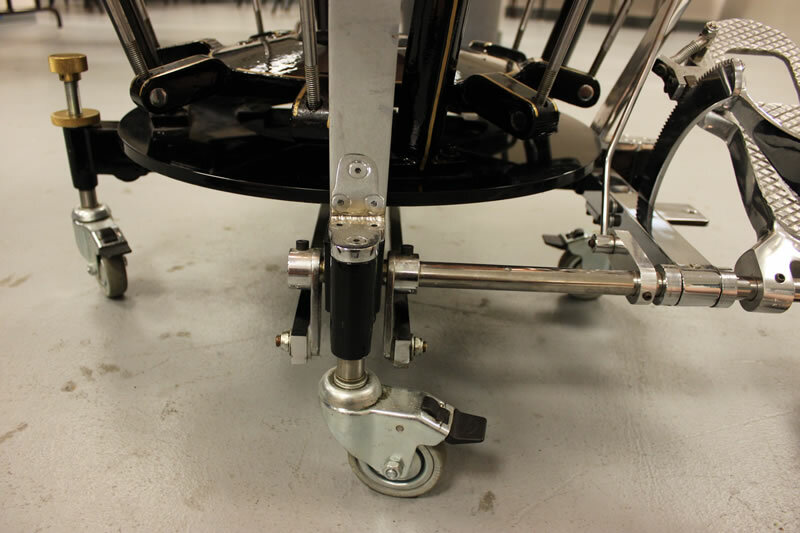 This, paired with a large disc placed between the struts and base, allow the entire drum to be rotated independently from the base after loosening the tension on the head. This is enormously useful for changing the beating spots with calf heads as it allows the player to do so without removing and remounting the head. Tuning indicators on the guages were replaced and fitted with spring tensioned thumb screws. This allows for the indicators to easily slide into the desired position, whereas the original design required the use of an hex key to loosen and move the indicators. I am extremely pleased with the sound and feel of these drums. The pitch is focused and pure with a rich depth of sound. 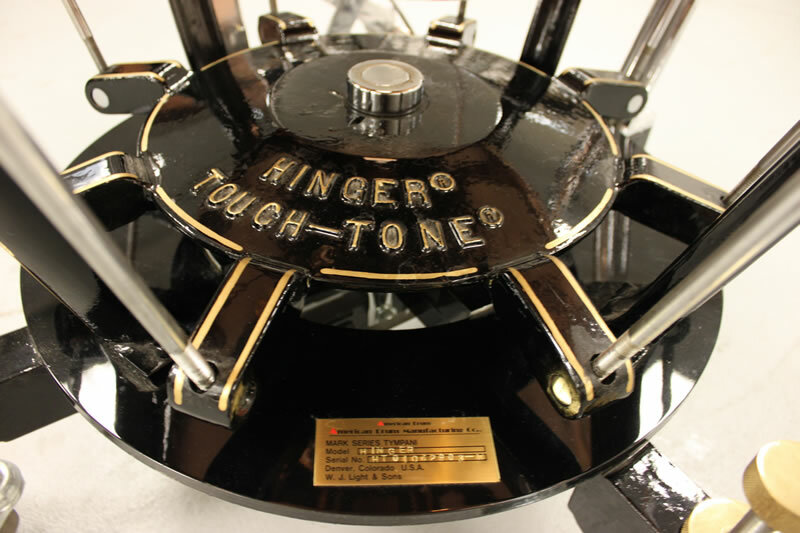 I believe the Hinger design was innovative to begin with, and in the hands of Marshall Light, they have been transformed into a truly unique world class set of instruments. © 2019 Benjamin Ramirez. All Rights Reserved.